Tuesday, April 9 at 7pm - Stan Hagen Theatre, North Island College, Courtenay. Many politicians and environmentalists champion technology as the solution to all of our problems. What if technologies are accelerating our problems? What would the solutions be? These are the questions that award-winning journalist and author, Andrew Nikiforuk, will be addressing in his engaging presentation. The title of his presentation is ‘Understanding the Technological Imperative: How Technology Has Conquered Everything’. His talk will be followed by a Q&A session. Andrew Nikiforuk has been writing about energy, economics and the oil and gas industry for nearly 20 years and cares deeply about accuracy, government accountability, and cumulative impacts. He has won several National Magazine Awards for his journalism since 1989 and top honours for investigative writing from the Association of Canadian Journalists. 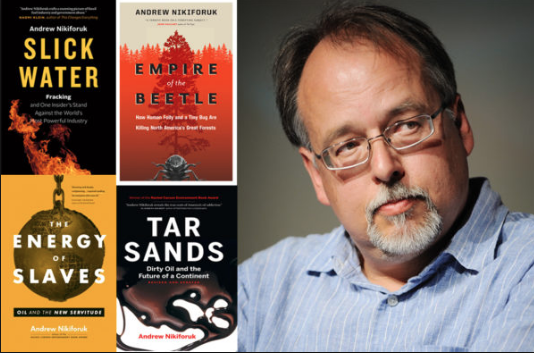 Andrew has also published several books which make riveting reading, Slick Water, The Empire of the Beetle and Saboteurs: Wiebo Ludwig’s War Against Big Oil, which won the Governor General’s Award for Non-Fiction in 2002. Whether speaking or writing about melting glaciers, educational shams or the destruction of the boreal forest, Nikiforuk has earned a reputation as an honest and provocative voice in Canadian journalism. He is now a contributing editor for the Tyee. SGaawaay K’uuna (Edge of the Knife) is a 105 minute 2018 Canadian drama co-directed by Hluugitgaa Gwaai Edenshaw and Jaada Gyaahlangnaay Helen Haig-Brown. It is the first feature film spoken only in dialects of the Haida language (with subtitles). Set in 19th century Haida Gwaii, it tells the classic Haida story of the traumatized and stranded man transformed to Gaagiixiid, the wildman. The film was created primarily by indigenous people, including the co-directors, a mostly amateur crew, and the Haida cast. In 2017, Edge of the Knife actors were taught to speak Haida (endangered dialects with only 20 fluent speakers) at a two-week intensive training camp and throughout the five weeks of filming. 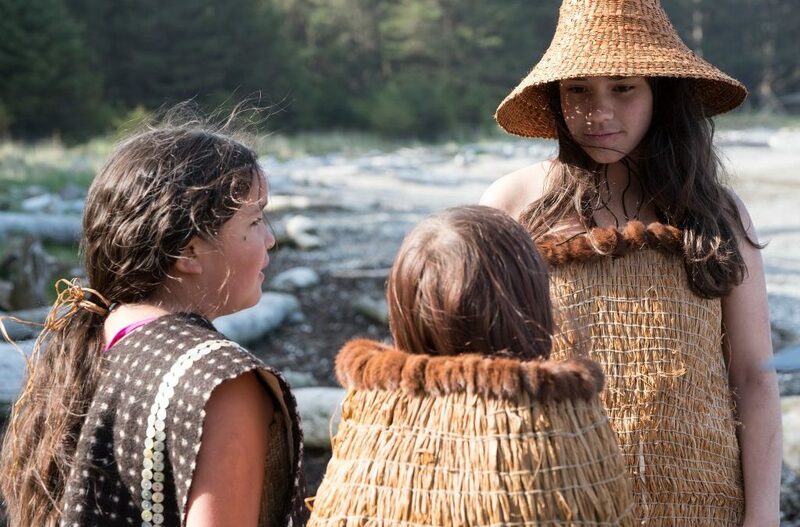 First shown on September 1, 2018 to the primary audience, Haida Gwaii residents, SGaawaay K’uuna made its public premiere six days later at the Toronto International Film Festival, which named the film in its Canada’s Top Ten list. At the Vancouver International Film Festival, the film was voted Best Canadian feature, Best BC Film, and Most Popular Film. Further nominations and awards have been presented to actors and costume designers. The film is set in the 1800s in Haida Gwaii. At a seasonal fishing camp two families endure conflict between the nobleman Adiits’ii and his best friend Kwa. After Adiits’ii causes the accidental death of Kwa’s son, he flees into the rainforest, descending into madness and transforming into Gaagiixid – “the Wildman.” When the families return in the spring, they discover Adiits’ii has survived the winter. Can he be rescued and returned to his humanity? Meanwhile, Kwa wrestles with his deepest desire – revenge. Presented by World Community, I-Hos Gallery, Xyuu Xyahl Gaang.nga - Southeast Wind Dancers, Immigrant Welcome Society, and the Sid Williams Theatre Society. This event features an opening Haida cultural performance by Xyuu Xyahl Gaang.nga - Southeast Wind Dancers. We’re thrilled to have director Hluugitgaa Gwaai Edenshaw join us for a post screening Q&A session via Skype. The DuPont corporation revolutionized home cooking with Teflon’s non-stick cookware and its key chemical ingredient, C8. But how safe is it? 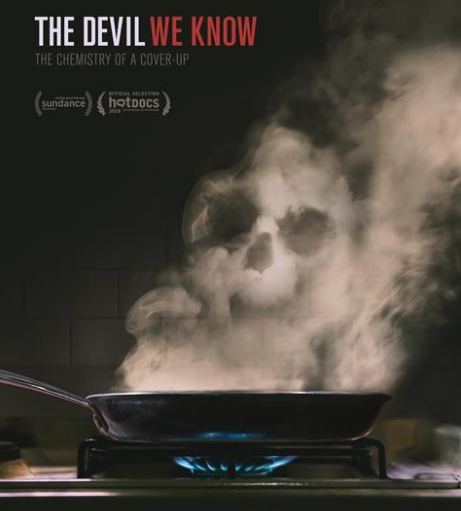 World Community’s film series continues with a screening of the eco-thriller, The Devil We Know (88 min. - North Island College, Courtenay). While concealing knowledge about C8’s harmful effects, DuPont contaminated the environment with chemical waste, failed to warn their employees about serious health risks and continued marketing Teflon products as safe. Now 99% of US citizens, including newborn babies, have C8 in their bloodstreams. Internal documents and secret in-house studies reveal a disturbing truth: to maximize profits, DuPont had knowingly been pumping a poisonous chemical into the air and public water supply of more than 70,000 people for decades. In a class-action lawsuit that led to a landmark decision, residents learned the true extent of the irreversible damage DuPont caused. This film exposes​​ the depths of corporate greed as well as the perseverance of individuals who refused to go down without a fight. Film Series – “Best of Fest” Tuesday, Feb. 19th – 7pm at Stan Hagen Theatre, NIC, Courtenay. The votes are in from the recent World Community Film Festival and the audience picks for “Best of Fest” resulted in a tie between two inspirational films to be shown as a double bill. 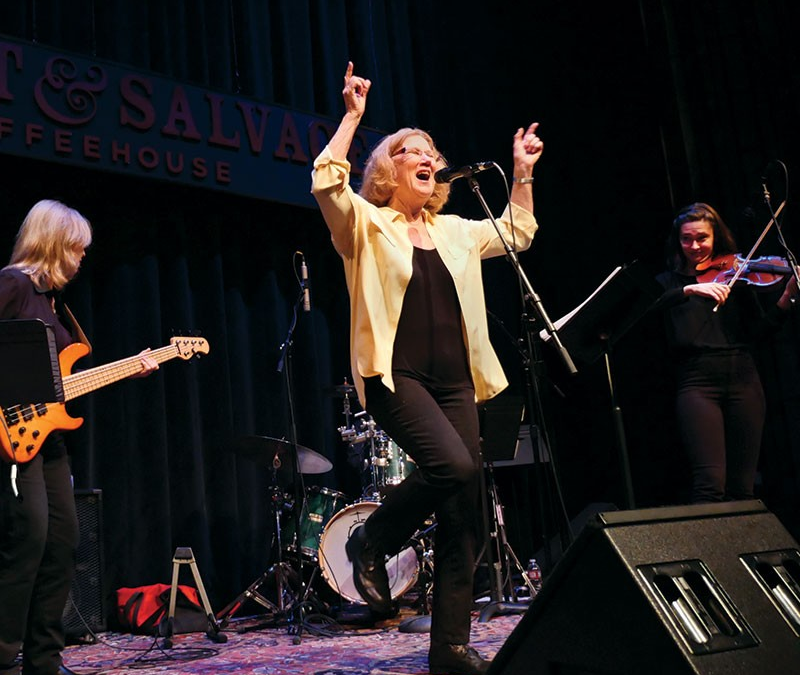 Singing for Our Lives serves as an important testament to a time of protest, coalition building and international solidarity. 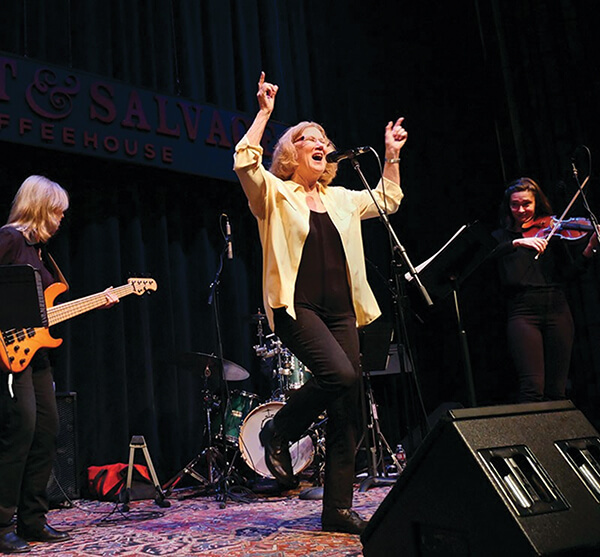 Featuring Gloria Steinem, Jane Fonda, the late Ronnie Gilbert and others, this music-filled film speaks to anyone who believes in peace, justice, and equality. 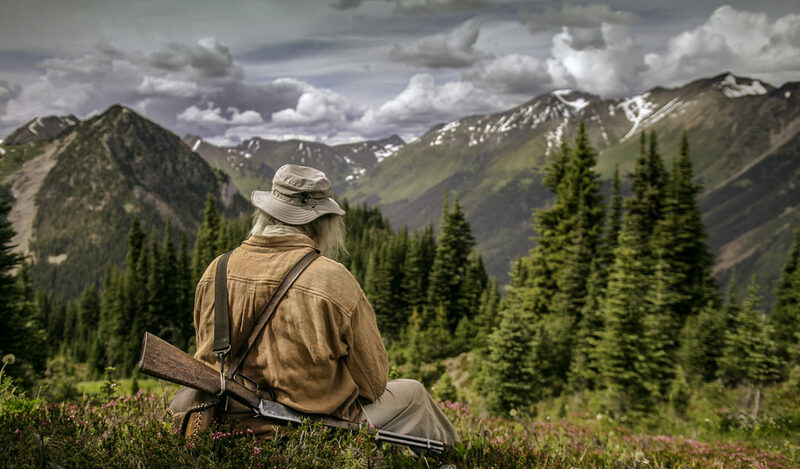 Not to be missed is the newly-release film Treeline (40 min.) 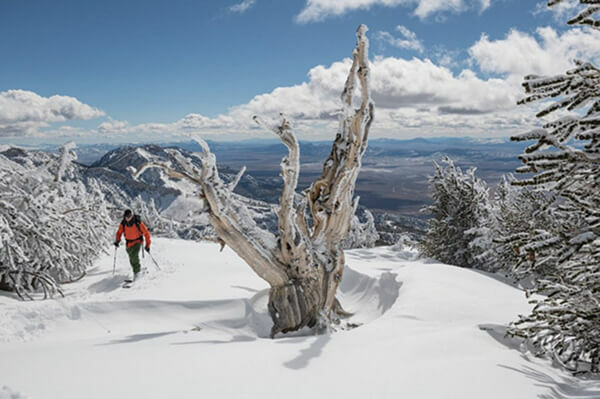 which celebrates the forests on which our species have always depended, and around which some skiers and snowboarders have based their entire lives. Follow a group of snow-seekers, scientists and healers as they explore the birch forests of Japan, the red cedars of British Columbia and the bristlecone pines of Nevada, delving deeper into the ways we are connected to trees and how trees network with each other. This is a beautiful, meditative film that will make you appreciate the importance of saving our forests. audiences in five venues in downtown Courtenay on Feb. 1 and 2. Festival opening and closing nights offer ‘must see’ award-winning films Gurrumul and Soufra, but don’t miss some of the other programmer favourites listed below. Diane Cartwright recommends Love and Bananas: An Elephant Love Story, a heartwarming depiction of positive changes in people, elephants and tourism when a brave woman works to defy cultural norms and rescue mistreated elephants. Wayne Bradley is particularly inspired by several of this year’s films which may change your view of trees and forests forever. 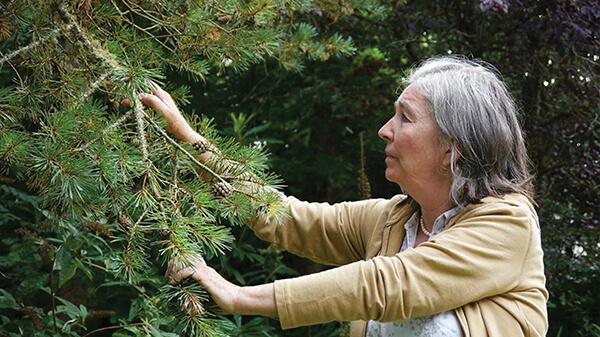 Call of the Forest and Treeline look at some surprising aspects of our relationships with forests. Ecology Transforms Youth and Save Space Nugget are local examination of these same issues. We have a great selection of films from all over the world but one of Gordon Darby’s picks is rooted in our own back yard. 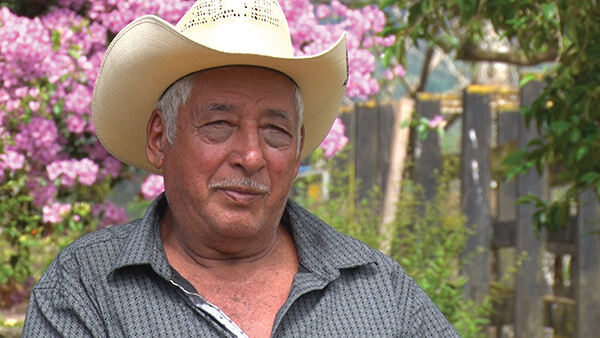 The film Cooperativa: La Lucha Sigue (The Struggle Continues) by local filmmaker Ed Carswell gives us a look at the important relationships and partnerships between Nicaraguan coffee farmer cooperatives and World Community. Another jury favourite is The Radicals which introduces us to a group of snowboarders and surfers who are raising environmental awareness and giving back to their sports and First Nations communities. Ardith Chambers comments “watching films made by and about First Nations people gives ‘settlers’ a much needed insight into the world of indigenous lives. 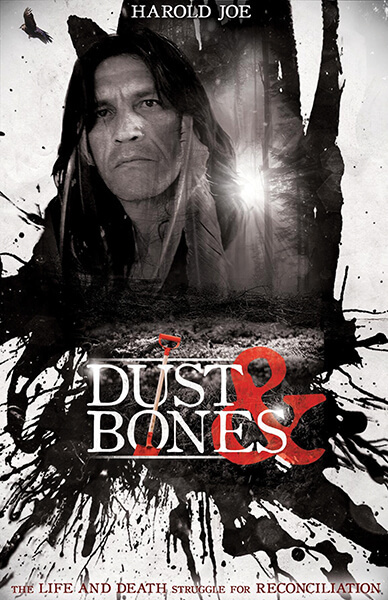 Dust n’ Bones shows us the role ancestry still plays in local nations”.